Published 01/14/2018 at 2000 × 3004 in Living Room Overhead. The challenge of this space is its narrowness. 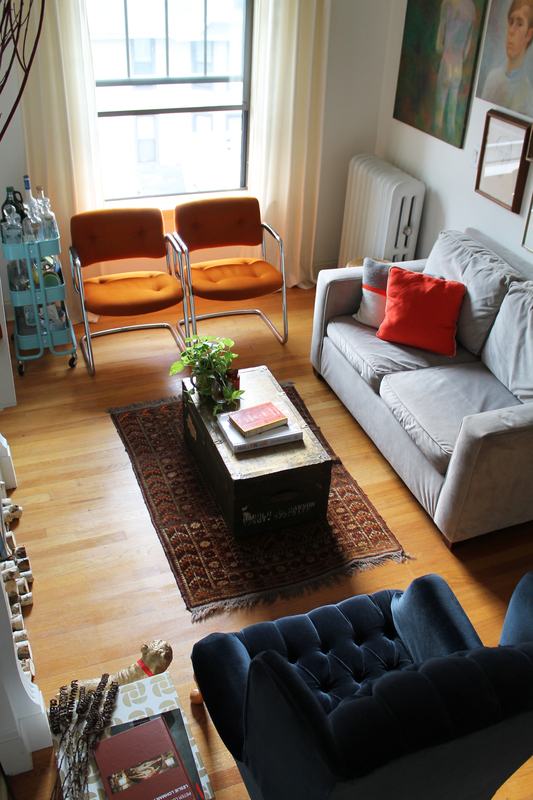 After a lot of trial and error, we found a love seat to be the best fit for the space. We picked up this West Elm loveseat sleeper through Craigslist.